I clicked on it with a sense of premonition. You know that tingle you have along your back when you forecast somethings great to happen? That's when I clicked on the Loke-Innas Rim Third Age Total War image and my adventure began. For about 30 minutes I surfed the TA:TW forums, with my mouth open and my eyes wide. I kept repeating “Could it be? I can’t believe it!” and my expression was so excited that one of my colleagues asked me if I was watching ... a strategic game set in the world of The Lord of the Rings, based on the engine of my beloved Medieval II: Total War. It was a major breakthrough in my gaming life. Far from being much of a tech-wizard I downloaded it and ran home to install it, praying “I hope it is going to work.. oh make it work please!”. It worked and my gaming life change completely. Two years have passed and I’m still playing it however recently I have played a number of excellent sub-mods exclusively. Even after its final mod release, there are many submods adding to the indisputable greatness of this mod. My very first campaign with Rohan was simply epic. You can just imagine that first charge with Theoden leading the eored against the scum of Isengard! I stood tall in my first defense of Minas Tirith against Mordor just like in the films. The unrivalled feelings I had when I saw the fortress of Sauron, suspicious giant eye and all, finally crumbling to dust! I can tell you hundreds of examples, but you get the idea: this mod gives you what you look for and the unique settlements and detail throw Medieval II into J.R.R Tolkein's fantasy world of Middle Earth superbly. Fear the wrath of the righteous .. and step out of their way, if you don’t want to be treaded on! But what is that makes this mod so great? 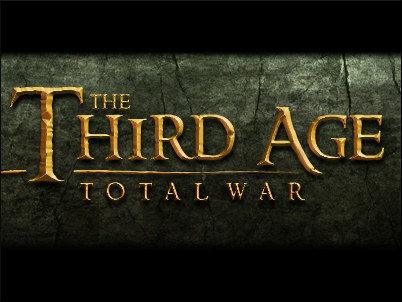 The first Third Age Total War release was in 2009. Why it is still so popular? The answer is simple: it represents and encloses the passion of modders, players and Tolkien’s fans, that find in it the spark to live the unique emotions that the Professor’s world can gift. Being a representation of The Lord of the Rings world has helped it immensely to quickly become and remain popular. But this is just a part of the puzzle. The mod is well intended to be a very hard challenge for the player. Not only the player is warned that the Third Age is a hard nut to crack, but you're actually encouraged to play it on the highest possible difficulty. Only the toughest challenge maximises the worth of this wonderful and unique setting. The mod is surely enjoyable at any difficulty, but if you want to have the most from it, going for the hardest levels is the choice. Speaking for myself, many of the new features such as the infamous garrison script, the AI money script or the AI stack spam in particular were extremely frustrating. However, when I finally understood that their purpose was to fix the chronic inability for the AI to present a considerable challenge, I suddenly realized that until then I was playing a game in which I was simply exploiting AI weaknesses. For the very first time I was forced to lose and to utterly accept the bitterness of defeat and, believe me or not, that was epic! It presented me with many more hours of gameplay that I would have never imagined having. …but of course, it's much better when you are the one who wins! In my opinion both elements are fundamental for the past and present success of Third Age, along with the incredible care the developers put into any and all visual, musical and technical aspects. One can’t say that there are no other better refined mods, or even more challenging ones, but I think that overall Third Age: Total War presented the best balance between the two. Particularly if we consider that this was probably the first ever to be so truly immersive. The use of models and sounds from the New Line Cinema adaptation of the Lord of the Rings was a successful choice too, though it generated many debates within the players and modders communities. That’s one of the downsides of having a great public of demanding, passionate, loyal and sometimes picky lore fans. It is nowadays undeniable that in the collective imagination of the masses, the New Line’s movies represent the common basis for visual or musical adaptations, as imprecise as they are too the books in various aspects. Many a Tolkien book fan will surely turn up their nose in regards to certain choices of adaptation like with any other fantasy series with Game of Thrones instantly coming to mind. On the other hand, both players and modders communities have been always very open to discuss any lore-related issue, and this led to the birth of the great Tolkien General Discussion Thread, that has now reached its second edition having reached 10,000 posts in its first incarnation. Furthermore, a unique quiz game has been developed and it’s still running after more than 2 years after the mod was released with many hundreds of different players. While debates and quarrels have been running over and over, never losing the right mood, and also giving rise to and also giving rise to some genuine humor. The wide audience attracted by this mod also resulted in the production of many great Fan Fictions and After Action Reports. Whether you are looking for dramatic stories, epic battle tales, general feedback on campaigns or simply comedic and funny stuff, having a look into the Fan Creations sub-forum is a must. 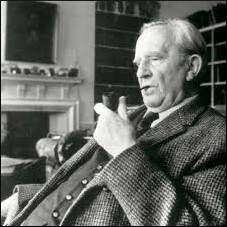 Thanks to the work of the Professor J. R. R. Tolkien, 4 generations have already approached the world of Fantasy. With such a glorious past what does the future hold for this mod? Officially, since King Kong (building climber, developer and mod leader of TA:TW) released version 3.2 of in mid 2012, no other updates, patches, units or anything else have been released. To complicate things by the end of 2013 he also announced a break from modding activity; although he has not stated that this is going to be permanent, all the hints suggest that this is what will happen. However in his last post, he gave wide permission to modders to use his materials freely so long as any new work will be released as a submod for TA:TW. Meaning that people are free to do anything as long as King Kong (and therefore the old team, which is now largely inactive on the mod) is credited, and TA:TW respected. Modders should seriously have a think on this: although M2:TW engine can be considered a little bit outdated, it is pretty stable, and there are tons of material that by now have been tested and are ready to be used. 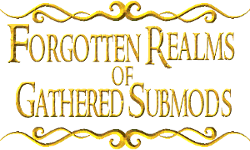 Forgotten Realms of Gathered Submod has been one of the first submods ever to be a big overhaul of the vanilla TA:TW. It includes many smaller submods in one compilation and has recently received the addition of some last generation ones! Additional units, tolkien quotes and an expanded map are just the tip of the iceberg with 40 submods altogether included! 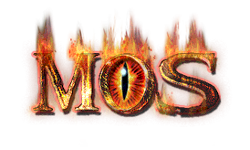 Massive Overhaul Submod has been the most played submod for a very long period and it still has a lot of fun to offer, though recently the development has been put to an hold. There is plenty of extra submods for it and it’s a must try if you want to push the challenge to the highest levels of difficulty! Perilliciuos Compilation Pack is one of the oldest submods ever and has been developed during the last years with continuity. It offers the player the chance to experience a new concept of campaign development, along with unique setting in Fourth Age and many new factions and units. Alternative Patch for Vanilla TA:TW has now reached release 4.6. Amongst the various submods this is the most vanilla TA:TW oriented one. It offers many new customized settlements and units, along with fixes for many of the old ones that were broken. It also solved some of the more long-standing bugs. Divide and Conquer has been under development for many years and it was finally released in beta few months ago. A new concept overhaul submod. It has some unique units and factions while also sensibly modifying some of the most well-known and used standard scripts (like the Garrison one). Soon to be in official release. Withwnar’s Submod Collection, based on a clean Vanilla TA:TW setting, it presents some of the most revolutionary and unique scripts ever created for any M2:TW modification, such as Bodyguard Switcher, Total Diplomacy or Palantiri Revision. Open for Sharing Compilation and Resources will be an open source for modders to take material from, but will additionally be released as one of the most massive overhaul submods ever. Including some new material seldom or never seen before! Ruins of the North and Glory of the South is a unique submod that will be set in the period between the foundation of the Realms in Exile and the approaching of the end of the Third Age. It will be centered on the struggles of Arnor and the successes of Gondor, with many historical events to take place, for the delight of lore fans. Unbelievably this is no where near a complete list of submods. Check out this thread for more! The community is still very active and it's undeniable that the TA:TW fora are some of the most visited on TWC and this TW mod is one of the most played ever. The fact that after 5 years it is still attracting new people surely is the best evidence of the quality and greatness of this modification. The original work is simply amazing, but the passion of many great modders and the continuous support of hundreds of players has made The Third Age Total War not just a mod, but also a unique gaming and immersing experience. If you have never tried it or it's years since your last play, take the chance now to enter Middle Earth, and join this great community. You'll be rewarded with hours of pure fun bringing real meaning to the term total war and if you are a fan of J. R. R. Tolkien how can you miss the chance to inscribe your name into the history of Middle Earth?